The Winter Moth has exploded in population throughout New England. Adult moths hatch from their cocoons in the soil at the base of host trees in late November, usually around Thanksgiving. Females, which are wingless, crawl up the base of the trees to lay their eggs; one Winter Moth can lay as many as 350 eggs. When the eggs hatch in the spring, the caterpillars feed upon the emerging new leaves and flowers. The resulting defoliation can kill the tree if allowed to continue over several years. In Cape Elizabeth, the Winter Moth has already killed thousands of trees, and the infestation grows every year. This makes the need for immediate action all the more critical. Tree-trunk banding is considered the most effective way to treat Winter Moth infestations. 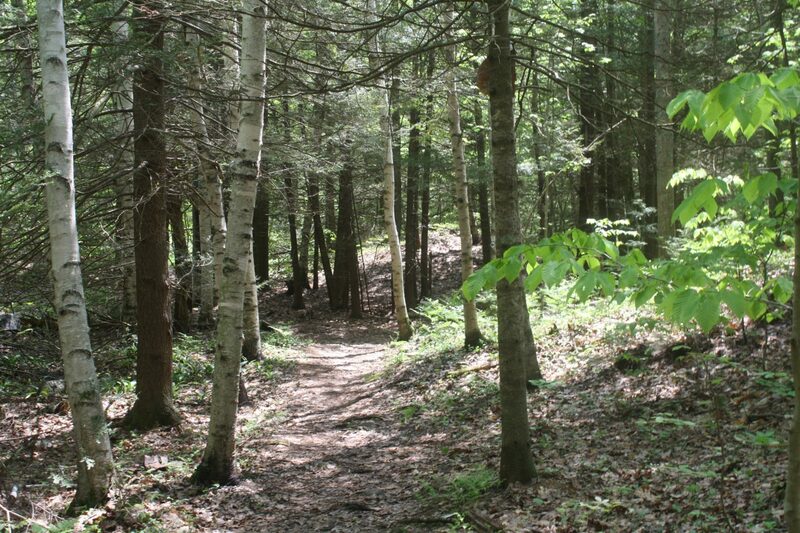 Fort Williams Park Foundation and CELT, along with Town’s Tree Warden, have initiated an effort that will protect selected susceptible trees at the Robinson Woods Preserve. CELT will be using Tanglefoot, a sticky paste applied on top of a plastic strip on the tree trunk that traps the females before they can lay their eggs. Alternative at-home methods, and the simple BugBarrier Tree Band also work very well. We need volunteers to help band over 150 trees during the November 17th weekend. If you would like to help in either Robinson Woods or Fort Williams Park, please read contact information below. Saturday November 17th from 10am to 12 noon. Meet at Robinson Woods parking lot on Shore Road. Contact stewardship@capelandtrust.org or call 767-6054. Saturday, November 17, from 10am-12 noon. Contact Kim at kimakoehler@gmail.com or call at 767-3707. For additional information on winter moth in Cape Elizabeth, visit the local articles below.